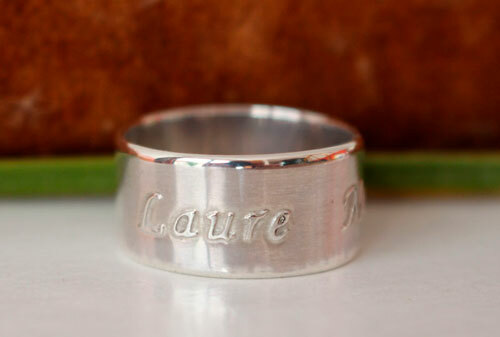 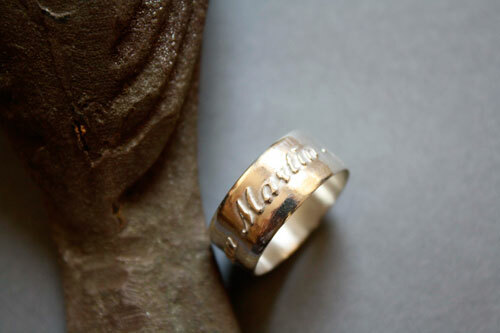 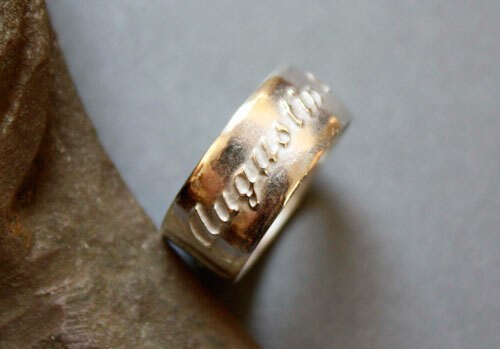 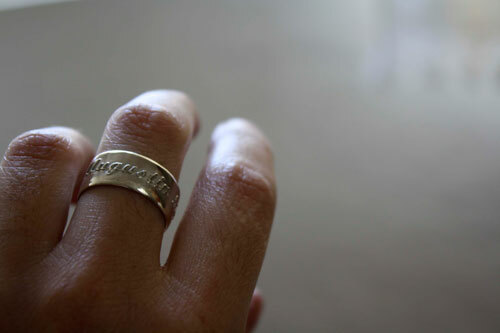 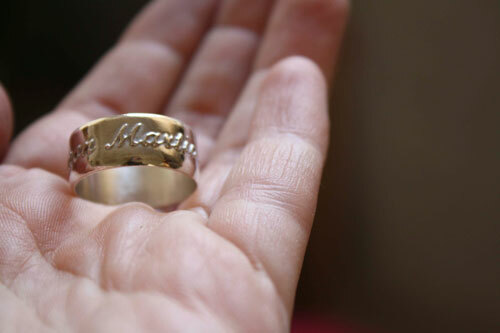 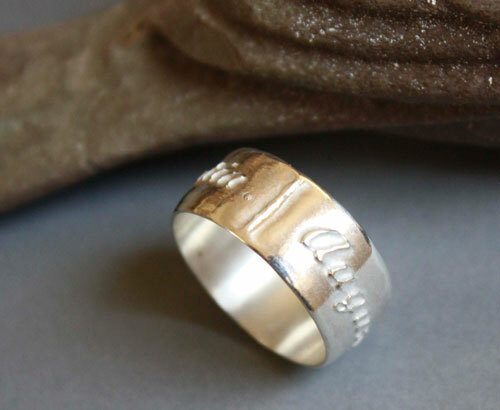 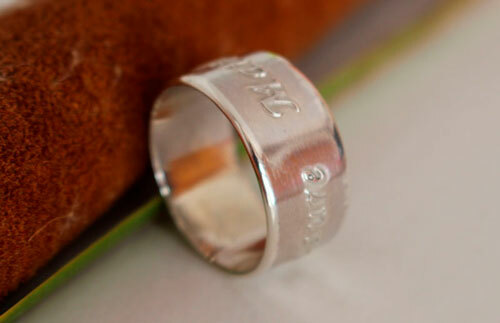 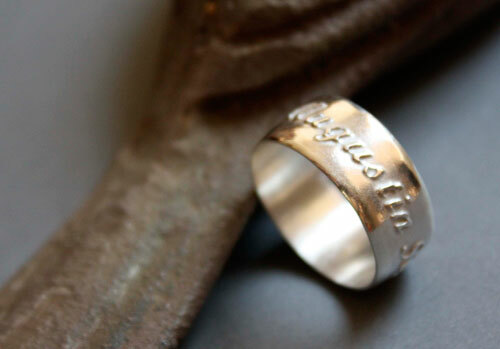 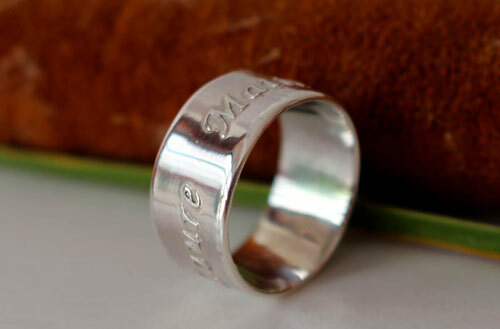 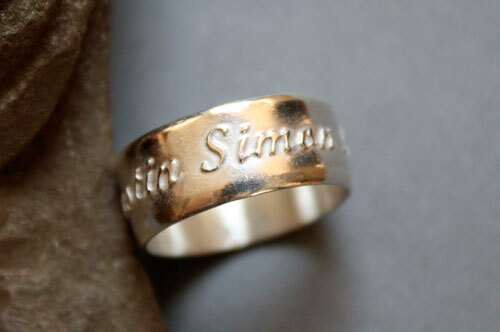 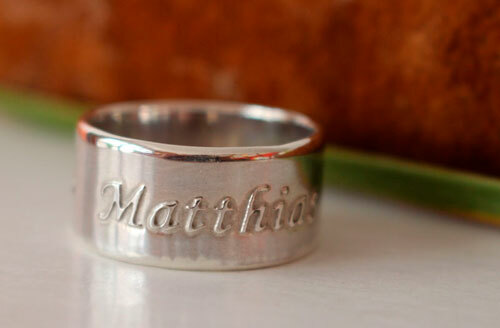 Three names are engraved all around the band of this amazing ring. 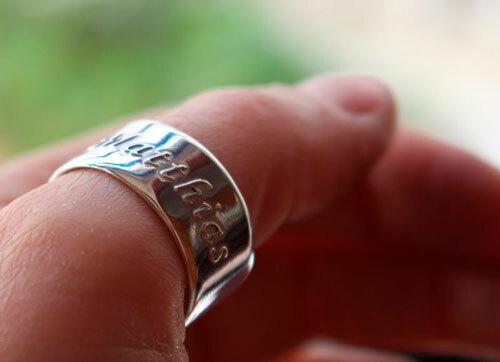 Siblings honor the finger of the mother who raised them. 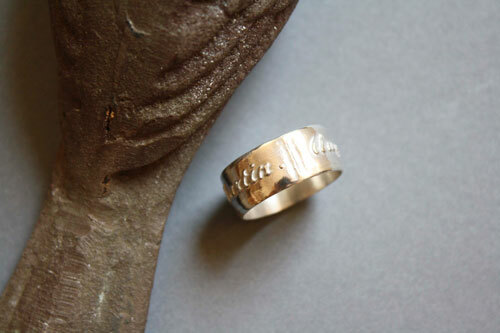 This ring was made of sterling silver, made by hand in my workshop. 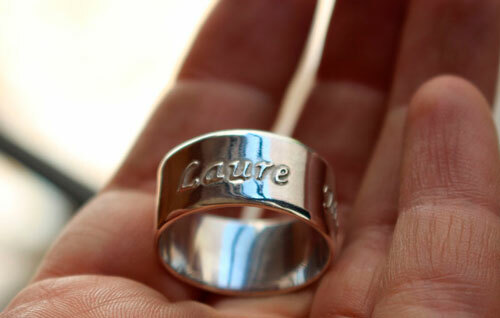 It was custom made with a pattern chosen by the client.